How did I find VitaLake? 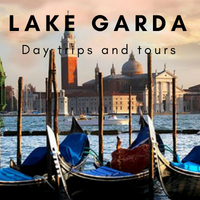 Of course you should all know by now that I have a passion for Lake Garda, that’s why I have this website and write my blog, and I have a particularly passion for the products of Lake Garda, such as the wine and the olive oil. find out more so I visited their website. I was further intrigued when I read that the natural ingredients that are used in their cosmetic products are olive oil, wine and lemons, which are all sourced from around the lake. I was so impressed with the concept and it’s originality, that I contacted the owner of the company, Lucia Cussolotto, to ask if I could meet her, so that she could tell me more about VitaLake and it’s products. I was really pleased when Lucia invited me to her house in Peschiera to talk about her company. When I arrived at her house, I didn’t get a chance to ask any questions, Lucia couldn’t wait to tell me about her company. VitaLake is the the union of my two passions; my territory, Lake Garda, where I was born, where I live and that I love (Lucia describes herself as a Lake Garda DOC girl); and cosmetic science, which I studied and worked in the industry in charge of cosmetic products. From these two passions was born VitaLake. I told Lucia that I was really impressed with her story; she has the skills the passion and the dream and she put them all together to create the VitaLake. I was curious to know where the dream began, whether she studied chemistry because she had the dream or which point did the idea materialise. sown. In 2013 was the first product. How long did it take from when the seed was planted to the first product? It was about three or four years; I sowed the seed and watered the seed, but then I also needed to learn new skills, the skills for the business world. I started with two products; shampoo and shower gel from lemons and body cream from extra virgin olive oil, it was an experiment. Then I created all the ranges with lemons, olive oil and wine, now I’m studying with other raw materials. Do VitaLake products have real health benefits? I asked Lucia if ViataLake’s products had real health benefits or were aimed at the tourist industry. Do you use a local laboratory? The VitaLake philosophy – ‘Respect of The Environment’! Carrying on from telling me about the health qualities of the VitaLake products Lucia went on to tell me that she tries to be eco-freindly where ever possible. environment, and then they have to like me. It is important to have an affinity with the partners in every step. The product is the result of the people that work for it.The wine, oil and lemons are 100% guaranteed from Lake Garda. The olive oil is from the consortium at Malcesine Olio Garda DOC. The wine is from Zeni at Bardolino and the lemons are from the Lemonaie ‘La Malora’ in Gargnano. Lucia chooses not to use external packaging because she knows that this just gets thrown away straight away. The product containers are manufactured from recyclable materials such as aluminium, the gift boxes for the hotel are sourced from an English company that follows ‘Fairtrade’ guidelines. The products are made from natural ingredients, no artificial colourants or perfumes, no petroleum products, parabens or silicones. Where can you purchase VitaLake Products? Lucia has thought carefully how to promote VitaLake’s products so that they reach the target market and are presented as products with real health benefits. She has been offered the opportunity to open a temporary shop but doesn’t believe that this would give the right image. She would rather build the business in the right way, quality over quantity. Quality of the idea, quality of the people involved, the quality of the product and quality of the way the product is distributed. The Enjoy Garda Hotel and the Ziba Hotel in Peschiera. The Hotel Villa Romantica in Limone. The Belfiore Park Hotel in Brenzone. The Grand Fasano Hotel in Gardone. The Hotel Gardenia Al Lago in Gargnano. Click the link for the full list of Vitalake distribution points. The products are also available to purchase directly via the VitaLake online store. Here customers can find all the information relating to the products, including the ingredients and the health benefits. Currently VitaLake are able to ship the products throughout Europe. Where to now for VitaLake? What are your aspirations for VitaLake, where do you want to it to go, do you see real helf benefits that you want to share with the world? It’s a product that could be everywhere. There is a German lady who bought extra virgin olive oil face cream and she fell in love with it, now she always re-orders online. For her allergic skin, sensitive skin it is perfect. The hydration and nourishment is long lasting and at the same time there is no allergic reaction. Lucia is confident that more and more people with similar health issues will discover her products and fall in love with them. I love cosmetic science and formulation and I realise that this is a serious product, and I love as well my territory. When I had the idea I didn’t think of the business side, how much (can I make), but just to make a quality product with products from my territory. Lucia was excited that Franklin Marshall, the Italian fashion company based in Verona, released it’s cosmetic range last year and they chose VitaLake products to market under their name. This was a big success for Lucia, who at the moment works alone on the marketing and promotion of her products. She likes direct contact with the outlets and customers as she knows her product and can explain it’s health benefits better. But in the future she hopes she will have a network of distributors because she will be too busy. I love meeting people like Lucia, who have a passion for something, a dream, which they turn into a reality. That is another reason I love Lake Garda, because it is such a unique place with endless opportunities and it has that affect on people. I am lucky enough to have met many people who want to share with you their passion for their olive oil, their wine, their pasta or other local food recipe. Lucia’s VitaLake products are truly unique and I wish her every success. Buy VitaLake Products Online Now!